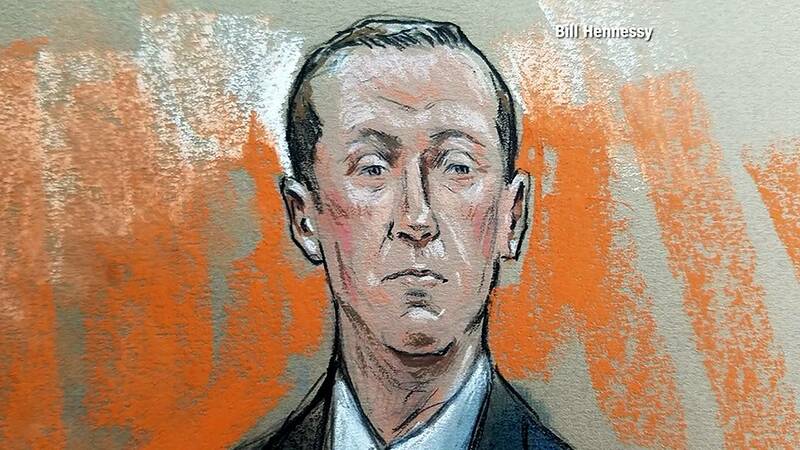 (CNN) - A rare espionage trial began Wednesday in Virginia as a jury heard testimony rife with references to covert communications devices and blocks of stashed cash payouts. In a shabby hotel room in Shanghai last year, three Chinese men, all surnamed Yang, had questioned Kevin Patrick Mallory, a former CIA covert officer, about the new Trump administration's foreign policy. What did he know about the THAAD missile system? The administration's stance on the South China Sea? "They were a little bit coy," Mallory later recalled. "I asked them point blank" if they worked for the government and "they didn't deny it." Mallory was sitting across from a CIA investigator in the spy agency's headquarters in May of 2017 as he recounted the episode and how a headhunter had approached him on LinkedIn for what he thought was an interview for a job consulting with a Chinese think tank. 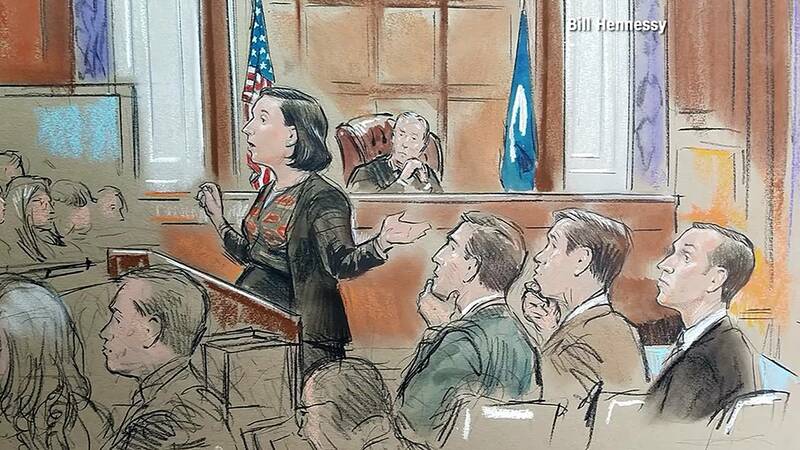 This week in federal court in Alexandria, Virginia, Mallory sat next to defense attorneys as video from that CIA meeting played out -- a central piece of evidence in the case brought by the Justice Department accusing him of spying. As tension between the US and China climbs amid threats of a trade war, Mallory's case is emblematic of another challenge from the superpower: aggressive new efforts by Chinese intelligence to go after American state secrets, experts say. It could mean a life sentence for the 60-year-old Virginia man. Deciphering the case may be a challenge for the men and women of the jury, who heard two divergent motivations behind a fact that Mallory does admit: that he sent four pages of documents to the Chinese men and received from them thousands of dollars that he did not properly declare on customs intake paperwork. Mallory "betrayed his country" and sold classified information to the Chinese to stave off "mounting personal debt," prosecutor Jennifer K. Gellie said. He had "fallen on hard times," Mallory's defense attorneys conceded, but the former Army veteran is a "loyal and patriotic American who has served his country with distinction throughout his life." They said he had grown suspicious that his interviewers were in fact intelligence operatives and "tried to string the Chinese agents along" and warn the CIA so as not to let an opportunity to learn about an adversary's sources and methods "slip away." The trial in the Eastern District of Virginia is expected to last at least a week. The government says it will call witnesses from the CIA and Defense Intelligence Agency, where Mallory had also been employed. Jury members on Wednesday briefly saw the documents Mallory transmitted over a modified Samsung cellphone that Gellie said contained discussion of human source information. Mallory's attorney, Geremy C. Kamens, said one document was so "generic" that it had no use, and called two pages of handwritten notes that accompanied it "essentially gibberish." Two CIA employees testified Wednesday -- one under a pseudonym and behind a folding wall so as to remain anonymous -- about a series of phone calls and text messages they'd received from Mallory asking them to put him in contact with officials in the agency's East Asia division before and after his meetings in Shanghai. Mallory had stopped working as a CIA case officer in 1996 and left an intelligence position at the DIA in 2010, but had known one of the men through his church, and the other through consulting work Mallory had done at the CIA from 2010 to 2012, according to court documents and testimony. "He was practically begging to set up a meeting," Kamens said. Days after he finally landed the May 2017 sit-down at CIA headquarters, Mallory took the Samsung phone to a follow-up meeting with the CIA investigator at a Virginia hotel, officials testified Wednesday. Two FBI special agents were also there to interview Mallory and review the contents of the phone. On June 22, 2017, Mallory was charged with delivering defense information to aid a foreign government and making false statements, and has pleaded not guilty. His arrest is one in a string of high-profile Chinese espionage cases in the past two years that Peter Mattis, a former intelligence official and China expert, says is on trend with a recent generational shift in the Chinese intelligence apparatus. "In terms of coming after and trying to get sources in the US intelligence community, [the Chinese] have become more aggressive and they've got better tradecraft and they're putting more money into it," Mattis said. Former State Department employee Candace Marie Claiborne is fighting charges in the District of Columbia that she lied to the FBI about her failure to report thousands of dollars' worth of gifts she allegedly received from two Chinese intelligence agents. Claiborne has pleaded not guilty. Earlier this month, Jerry Lee, a former CIA case officer believed to have helped China identify and kill members of the US spy network in the country, pleaded not guilty to conspiracy to commit espionage. "As far as we can tell from public reporting Kevin Mallory [was paid] $25,000 for a handful of documents," Mattis said. "That's a fairly hefty chunk of money for a relatively small amount of information."